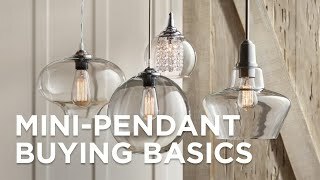 Hudson Valley Lighting's Dutchess traditional mini pendant's schoolhouse glass shape features unique fluting and simple metal work for a classic finish. Featuring a white glass shade, Hudson Valley's Dutchess mini pendant boasts a classic schoolhouse shape. Unique fluting diffuses the light, while simple metal work keeps the look subtle. The exposed-bulb fixture is finished in aged brass. 11 1/4" high x 9" wide x round canopy is 4 1/2" wide x hang weight is 8 lb. Overall height is from 14 1/4" to 65 1/4". One maximum 75 watt or equivalent medium base A19 bulb (not included). Classic mini pendant; part of the Dutchess collection by Hudson Valley Lighting. Aged brass finish; white glass shade. Shade is 9" across the top, 4 1/2" across the bottom, 6 1/2" high. Light fixture itself is very nice, but installation design is very poor as are installation instructions.